On Interpersonal Skills we regularly get questions that deal with subjects that incite a lot of argument. Unfortunately these questions and their answers often attract many answers or comments that merely want to argue with the decision that the Asker has made or the answer proposes rather than addressing the question. We delete these based on site policy. We can protect questions to prevent/reduce the number of such answers as they often come from users with no local reputation. I have yet to find a solution (other than regular policing) to how to prevent comments that do the same. Addition of a comment does not cause the post to be bumped, so, unless it's flagged, it may survive there for long periods of time. We can't prevent new comments either with a total comment lock or only from users without sufficient local reputation. We don't have a post notice that tells people that argumentative comments will be removed or a way for a moderator to pin or highlight a comment that says this (though whether this would be effective is debatable). The concerns discussed in answers to this similar request for a way to pin comments don't really apply in this case. This isn't about comment "importance", it's about highlighting that something isn't acceptable on the site in an attempt to prevent it. Locking is unacceptable because it prevents legitimate comments and even voting and editing. There's nothing wrong with the posts. I can write the comment in BOLD AND ALL CAPS but that's only going to catch so many eyeballs, particularly if it's not visible without clicking. This came up recently because a new comment was added to an answer on IPS. This answer (fortunately) was written by a moderator, so we were aware of it immediately. On reviewing the remainder of the posts, I found another such comment and removed it. What tools do moderators have to address this, particularly considering we don't get notification of new comments on old posts unless they are flagged? Wait a bit more than 6-8 weeks for SE to develop something or take it in your own hands and develop some nice moderation bot. Call comments api every x minutes, create a list of post_id, call post api with this list, get the creation_date, if post is old output comment in chat with content and link to comment. On Stack Overflow there are hundreds of comments every minute, but I guess on site's with lower traffic maybe the amount of comments on old post is manageable, hence just a quick look on new comments in a chat window will give you an idea of what is happening on these posts. Now you only need to get started, here is a nice list of chat libs that are free to use. I'm mostly going to second Journeyman Geek's answer here; there's not a whole lot you can do about it except don't be afraid to delete them when you see them and trust your community to flag them when they show up. I've been a moderator for Islam—Stack Exchange for five-odd years now, and if I've learned anything in that time it's that people really don't need much of an excuse to argue in comments. Keeping the site clean is essential since if/when users (especially new users) see arguments lying around, they're not going to assume that such behaviour is discouraged. Like you said, this isn't something that a moderator can really do on their own. The only strategy that has been regularly effective so far is the age-old adage of "Don't feed the trolls": Arguments typically only flare up when there's more than one person involved. You need a userbase that ignores and/or flags these comments as soon as they show up while refusing to engage in the pointless bickering. Regularly checking the stats tab in the 10k tools for recent posts that have garnered an unusual amount of comments can help, but it's only so useful (especially if your site typically attracts a lot of actually constructive comments as well); even this is something that any high-rep user can do just as well as a diamond moderator. Beyond that, about the only thing you can really do as a diamond moderator is to keep an eye out for hotspots and warn persistent offenders that this behavior is unacceptable, suspending if necessary. No matter what you do, some people are just inclined to argue, and they will become toxic if left unchecked; in my experience on Islam—Stack Exchange, it's typically a minority of users that are responsible for a majority of arguments, either by starting them or by happily engaging when someone else does, and such users are usually pretty easy to spot by the mess they leave behind (this may be more of a religious-sites thing though, since such users are typically also just here to preach and proselytize). In other words, your only real tool is a hammer, so don't be afraid to swing it when you need to. And hopefully your community can tell you when that is, so you don't have to guess. Survey of attitudes regarding arguing in comments on StackExchange sites. This was an attempt to highlight how problematic arguing in comments is. The many alternatives to arguing in comments. This was an attempt to give people alternative outlets. This seemed to help temporarily. If you haven't done so already, it might be worth a try to likewise raise awareness of the seriousness of the problem and the fact that there's viable alternatives. Slightly controversial suggestion but - you can't really do anything about it. There's a few issues here. Firstly, as second class citizens, comments are not very discoverable. The closest thing to comment search is clever SEDE queries. You don't have enough hours in a day and its not like you can get a trained attack cat to hunt them down live. As such, the only real way to deal with it is to encourage users to flag and deal with those as they come along. There's not really enough time in the day to follow up on every question this could happen on, and no one really expects a mod to be sorting everything pro-actively. We catch a few, our community helps us with the rest. This is one of those situations that's a little like cat-ranching. There's not much point, you're likely to be spending time better spent elsewhere and this is one of those things many, eyes with a broad scope works better than a few pairs of eyes looking at it. Consider on the spot conversion to chat If relevant. Encourage community flagging and maybe get a few marshals in the process. In a sense, its a problem that needs community leadership and engagement as much as tooling or mod attention. Its also one of those tasks that feels potentially sisyphean for a moderator team. 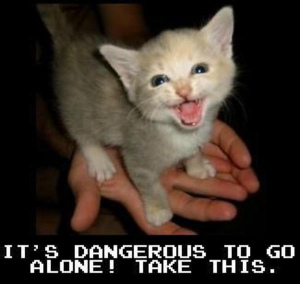 So.. its dangerous to go alone. Take your community with you when hunting comments. Not the answer you're looking for? Browse other questions tagged discussion comments moderator-tools .